Eugene, OR - USA Trade Tasting recently release its Top 10 Vineyards and Wineries You Must Visit and Eugene&apos;s Oregon Wine LAB was among the group recognized. Willamette Valley wines continue gaining recognition throughout the United States and around the world. For those of us who live here and can walk, bike, bus or drive to enjoy an award-winning glass of wine, it&apos;s no surprise that that Oregon Wine LAB is the latest to be recognized. USA Trade Tasting is an industry blog developed by Beverage Trade Network. Beverage Trade Network (BTN) is a, "online marketing and B2B networking platform servicing suppliers, buyers and beverage professionals in the global beverage industry." "Travel Lane County looks for great experiences that are easily accessible to locals and visitors. 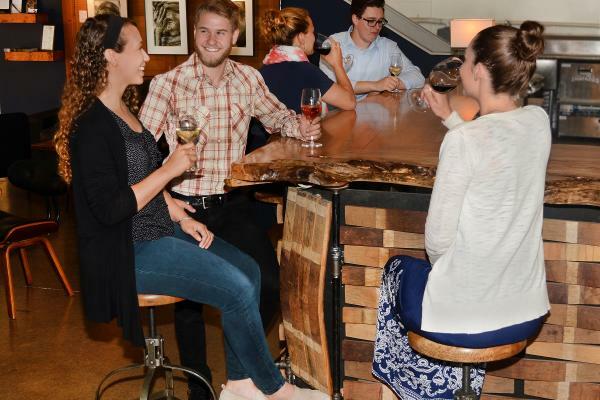 The Oregon Wine LAB is the perfect spot for someone who doesn&apos;t have time on their schedule to head out to one of our fabulous vineyards," noted Kari Westlund, Travel Lane County President/CEO. "The Oregon Wine LAB&apos;s convenient downtown Eugene location, and their amazing wine selection, makes it a &apos;must visit&apos; spot in our book as well."